I had the pleasure of interviewing Justin Goodbread. Justin is a Certified Value Growth Advisor®, a Certified Exit Planning Advisor™, and a CERTIFIED FINANCIAL PLANNER™. 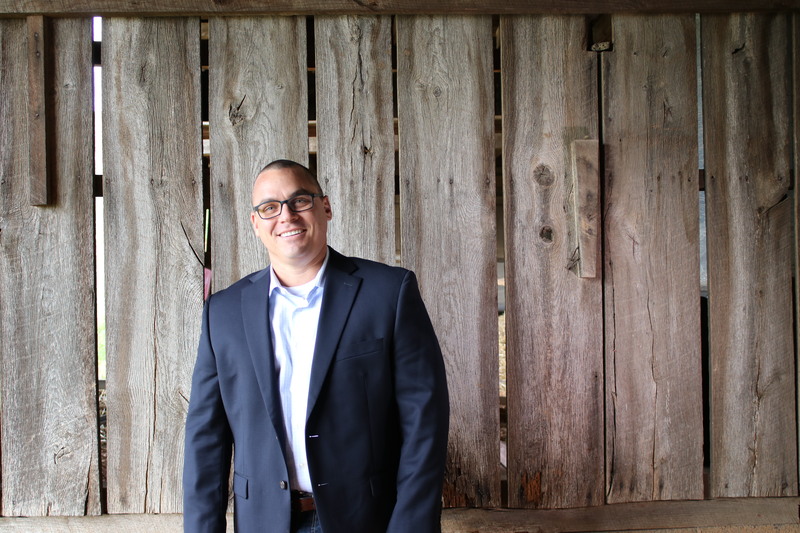 Armed with 20+ years of experience starting, buying, selling, and owning businesses, Justin now spends most of his time helping fellow business owners increase and manage the value of their businesses and personal assets. This work has helped Justin earn the Investopedia Top 100 Advisor and Exit Planning Institute’s Leader of the Year awards. In 2016, Justin launched FinanciallySimple.com– a financial blog, podcast, video, and education portal – to make financial concepts simple for small business owners. His work in Financially Simple has catapulted Justin into the national press where he writes for a litany of publications, and speaks regularly at conventions, trade associations, business events, and seminars around the nation. I have always had a love for and knack for business. When I was just a teenager, I started a landscaping business that grew into the first business I sold. Since then, I have started (and sold) a few other businesses. Getting into the financial planning side of my job actually came out of a dare. A friend bet me a significant amount of money that I couldn’t pass the “financial test” he just passed. Always up for a challenge, I took the test and passed on my first try. That test made me a CERTIFIED FINANCIAL PLANNER™. This certification happened at the perfect time… I had always had a life’s goal of helping people, and now I could do this in an area that could greatly affect them – their wallet. Can you tell us a story about how you were able to build a business from scratch scale and sell it to a bigger firm? Sure. During the middle of a very tumultuous time of my life, I started a business that was holistic in nature to help dentists with finances and business. Initially, I started helping them get their books set up. I hired Certified Public Accountants, who were stay-at-home moms, to do the dentists’ bookkeeping and to provide me with the dentists’ monthly financial reports. Then, I met with the dentists one-on-one to clarify the positive and negative parts of their monthly financial activity. After running this operation for a period of time, I realized that I was not enjoying the bookkeeping part of my work. Although I loved helping dentists grow and expand their businesses, I found the monotony of bookkeeping tedious. So, I worked really hard to make that side of my company scalable in nature. I added clientele, systems, structures, workflows, and processes to my business. Some time later, my hard work paid off, and a Certified Public Accounting firm that operated a similar bookkeeping business model purchased that side of my company from me. The funniest mistake I made. Let me think. In hindsight, one of the funniest mistakes I’ve made was bringing on a “business partner” that I really didn’t want. I signed operational agreements without having an attorney review them, and I naively “bound” myself and my company to this business partner. From that experience, I’ve learned to value, pay, and employ professionals to help me make wise business decisions. Make your business Scalable by instituting versatile management systems, creating scalable product solutions, marketing, and advertising. The more streamlined you can make your products, processes, and procedures and the more consistently you market and advertise, the quicker you can grow and keep up with that growth. Invest in good software systems that link your inventory, sales, and accounts. Develop workflows that leave no room for error when you receive leads, calls, sales, products, bills, etc. Then, train your team how to use those systems and workflows effectively and expeditiously. Increase your business’s profitability. I realize that’s easier said than done, so I recommend using the 5 x 5 x 5 Growth Technique – Increase your sales by 5%. Increase your profit margins by 5%. Decrease Selling, General, & Administrative (SG&A) Expenses by 5%. Identify and capitalize on your competitive advantage. Do you have unique trademarks, copyrights, or patents that you can use as an advantage in your marketplace? Is your customer service exceptional, or are your products state of the art? You obviously started your business to fulfil a need in the marketplace, so what need do you meet? Identify what sets you apart from others in your industry, and be the best of the best at that. Increase your business’s financial sustainability and your personal sustainability. Odds are, you don’t have the cash capital companies like Apple or Walmart do. You probably wouldn’t be reading this if you did. However, your business must have enough of a cash reserve to sustain itself during lean months or years, and you must have the cash and energy to withstand tough times yourself. Squirrel away the profits you make into investment accounts that will yield returns and grow your cash reserves until a time comes when you need them. Hire rock-star employees then transfer operational duties to them. Buyers and Investors don’t want to purchase a business they have to babysit. They want to realize a quick return on their investment without being involved in the day-to-day operations of the company. Thus, your business must be able to function without you, the grand Poohbah. This goes back to creating scalable systems and hiring amazing employees. Decrease risk. Finally, rely on professional advisors to help you decrease your company’s predictable and unpredictable risks. You can’t do anything to prevent economic, political, or environmental catastrophes, but you can protect yourself from them by purchasing the right insurance plans. Furthermore, you can hire sharp attorneys and bright accountants to help you prepare business contracts, employee contracts, tax plans, and the like that will protect you from company specific risks you may face. The more protected your business is, the more likely it is to sell. First, you want to avoid starting too late. Selling a business is similar to selling a house. If you sell it as-is without making renovations to it, you won’t make as much money off its sale as you could if you took the time to make improvements to it. Building your company’s scalability, profitability, sustainability, transferability, competitive advantage, and safety doesn’t happen overnight. Honestly, it takes years of dedicated planning and action to increase the value of your company if you want to sell it for the maximum amount of money possible within your marketplace. So don’t start building that value the day you decide to sell. Decide you want to sell years down the road, and begin building value immediately. Second, know the sales price you need ahead of time. Have an appraiser evaluate the worth of your company before you list it for sale, and work with your CERTIFIED FINANCIAL PLANNER™ to plan what you will do after the business sells. Make sure your “payout” from the business sale will be enough to sustain you into retirement or into the next phase of your life. For instance, if you want to buy a private island and have staff wait on you hand and foot for the rest of your life, you’ll need your business to sell for more money than you would if you simply want to travel the country in an RV for a year or take the grandkids to Disneyland.Ⓡ Therefore, make sure your business is valuable enough to procure the money you need. Well, I prefer to use the terms “service based business” and “manufacturing based business” because both industries use products. The biggest differences I see between service and manufacturing based businesses are the workflows and the organizational structures. The pricing and evaluation methods are going to be slightly different, too. When you’re building a service-based business, you want to make sure the business is not dependent upon and does not revolve around the proprietor. In other words, you want to make sure that the company can operate without the owner present. Transferring responsibility from owners to employees is often very difficult and can take you years to build up the systems and the structures to make that work. However, those companies that can operate without the owner present draw the highest price at sales time. Whenever you’re dealing with a manufacturing based business, it’s not usually about one person. Rather than having to shift the company’s focus away from an owner, you have to make sure you’re not running your entire business on one product line, one manufacturing development, or one customer. You’re trying to create a broader bandwidth of products and customers so the company’s revenue does not plummet if issues (regulatory, economic, political, etc.) arise with a product or a customer. So on the one hand, if you’re trying to sell your service based business, you want to equip all individuals within the organization to handle operations and bring in revenue rather than depending on one person to do that. On the other hand, if you’re trying to sell your manufacturing based business, you want to diversify your product lines and customer basis so that all your revenue is not dependent on one product or one customer. If you think about it logistically, the goals of the two types of business aren’t that different. You’re really just trying to diversify and maximize. You’re trying to de-risk both organizations. And though they may have some differences, the processes to do that are still the same. Great question. I like to tell people to start with their inner circles of family, friends, and team members, and work outwards. Do you have a son, daughter, grandson, granddaughter, nephew, niece, or cousin interested in continuing the “family business?” Start there. If family members aren’t interested, maybe you have friends who would be interested in purchasing your company. So, mention your intentions to sell whenever you’re around family and friends. Bring it up at church. Talk about it with your neighbors. Assume someone you know might be interested. If you reach dead-ends with family and friends, look to your team members next. Has someone risen in the ranks within your company? Do you have a partner who would want to buy-out your shares or a high-ranking employee who would be interested in purchasing the business from you? Are you interested in selling your company shares to your employees in the form of an Employee Stock Option Plan? If you don’t want to deal with the hassle and complexity of selling your business to employees, I suggest talking to your competitors next. I promise, it’s not as crazy as it sounds! Other business owners in your industry may be interested in buying-out their competition. Attaining your products, services, clients, patients, employees, equipment, software systems, or other competitive advantages may give your competitors the leverage they’ve been looking to attain in the market. That’s valuable, folks. Finally, if your family, friends, and competitors don’t show any interest in your business, reach out to a business broker, and Mergers & Acquisitions Advisor, or an Investment Banker to broker your business sale. These professionals have access to buyers and investors that would never cross your mind, so use their experience and expertise to find a buyer if you don’t. Okay, that’s a big question there, so let’s dissect this out. First, let’s deal with whether you’re building a business to sell or building a business for long-term viability. I think it goes back to vision. You need to understand that multi-generational businesses are a rarity, so the idea that you’re going to create a long lasting name in a small business is almost flawed in and of itself. My challenge is that if you’re building a business to sell and you’re successful in that, you can be just as successful building a business for residual-based income. So, how do you decide which one is better? I think both have their place, and it all depends on the personality, the long-term vision, the personal experiences, and the temperament of the proprietor. So, I don’t think one is better than the other. Let’s say you want to build a company in order to sell it. Then, you’ve got to work with that concept first and foremost in your mind so that you’re not as emotionally attached to the business. That way, it’s easier for you to let go of in the future. Now, if you’re building it for long term residual income impact, you don’t necessarily have to do that. And then there’s the question about whether or not you should keep your business private or make it public. Wow, that’s a question that involves a number of different scenarios. I think it’s going to be more about the desire of the business owner. I typically see younger entrepreneurs ready to go out and conquer the world. But when they get in their fifties and sixties, they get tired. This game of entrepreneurship wears on you… you’re running 80, 90 hours a week many times, and there is no break for an entrepreneur or business owner. Younger entrepreneurs who want to take the world by storm seem to desire making their companies publicly traded entities, and there’s nothing wrong with that if that’s your desire. You build to that end. However, if you want to create a residual based income company, you build that end. Or, if you want to grow your company to sell it for a big fat paycheck one day, there’s nothing wrong with that either. Every option has different risks. Each one has different rewards. All have monetary and intangible benefits. It just depends on the desire of the business owner. Of course. Business appraisers use one of three methods to determine a good selling price for your business. First, they could use an asset approach. If your automobiles, equipment, tools, software systems, technology, furniture, and fixtures are worth more than anything else in your business, appraisers will determine the worth of those items for the business sale. On your assets, appraisers can place a replacement value, a liquidation value, a book value, or a collateral value. Next, evaluators could use a market approach to determine your business’s sales price. In other words, they could compare your company to similar companies within your industry and marketplace that have recently sold. Those “comps” determine your market value, your fair market value, your fair value, your investment value, or your strategic value. Most typically, though, I see evaluators use an income approach to determine a business’s sales price. With this method, appraisers calculate your business’s cash flow one of the following ways – as net income, as Earnings Before Interest Taxes, Depreciation, and Appreciation (EBITDA), as Earnings Before Interest and Taxes (EBIT), or as Seller’s Discretionary Earnings (SDE). Then, they multiply your cash earnings by an industry multiple or by an industry percentage (determined by your business’s intrinsic value) to come up with your sales price. For instance, if your EBITDA was $1 million, and your industry’s average multiple was 4, your business could list for $4 million. However, if your business was more modern, more advanced, more streamlined, more scalable, more sustainable, more transferable, and more profitable than your industry’s average business, your multiple could be 7. So instead of multiplying your EBITDA of $1 million by 4, appraisers would multiply it by 7, which makes your business worth a possible $7 million asking price. Now, I’ve just oversimplified a very complex business appraisal process, but at least you can get the gist of how others determine your business’s sales price. To me, the backbone of a civilization is innovation. Innovation usually leads to positive changes and societal advancements. For example, innovation lead to a cure for Polio. It introduced Velcro and sticky notes to the world (LOL). We even have lifesaving devices because of innovation. If I could start a movement, I would show business owners how to unlock and foster their team members’ innovations. I would encourage business owners to inspire their team members and lead everyone of them to greatness. Put confidence in the people you hire. Allow them to be innovate so that they can change the world with you.